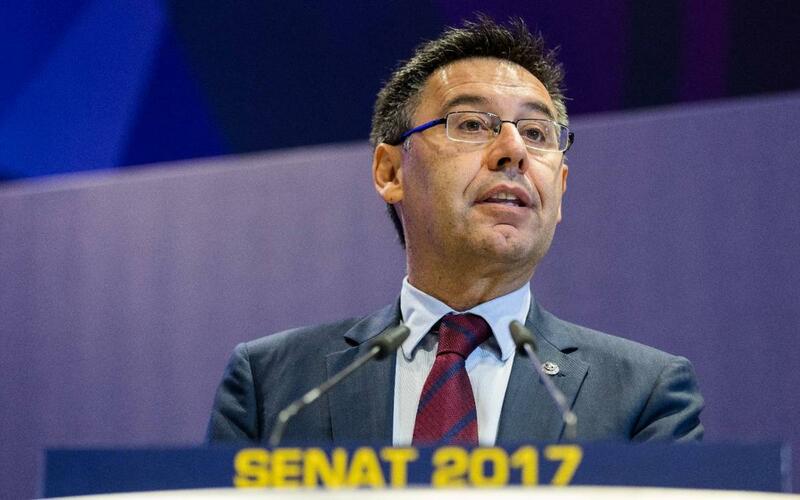 With the 2016/17 league season finally over, and after the title was won by Real Madrid, FC Barcelona president Josep Maria Bartomeu said he wanted to think about the final of the Copa del Rey, which will be played next weekend at the Vicente Calderón. The Club President said that it was time to "congratulate the champions" of the league and "our players, too, because of the season that they had." Bartomeu took advantage of the occasion to once again thank Luis Enrique for the work he has done. Sunday’s victory was the manager's last match at Camp Nou. "We thank Luis Enrique for his efforts and thoroughness. He knows the door is always open." The president also wanted to remind everyone of the three "successful" seasons the team had with the Asturias, Spain native at the helm. Bartomeu also said that on Monday, May 29th, following the meeting of the Board of Directors, the Club would announce the name of the new head coach. In conclusion, Bartomeu wanted to be clear that "there is no doubt that the relationship between Messi and Barça will continue."